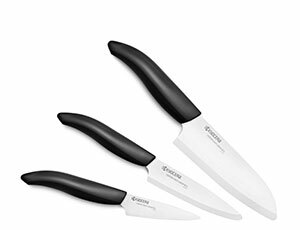 This Kyocera Revolution 3-piece Knife Set includes a 3-inch Paring Knife, 4.5-inch Utility Knife, and 5.5-inch Santoku Knife. 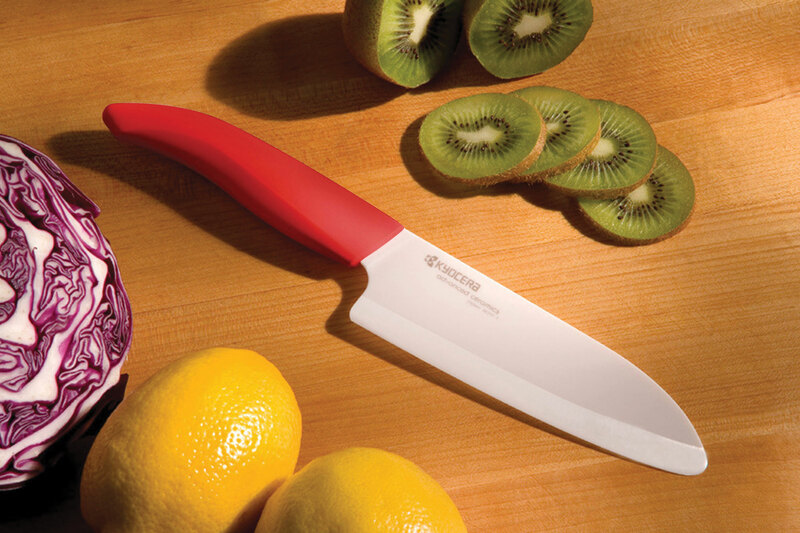 Kyocera Ceramic is a pure and healthy alternative. 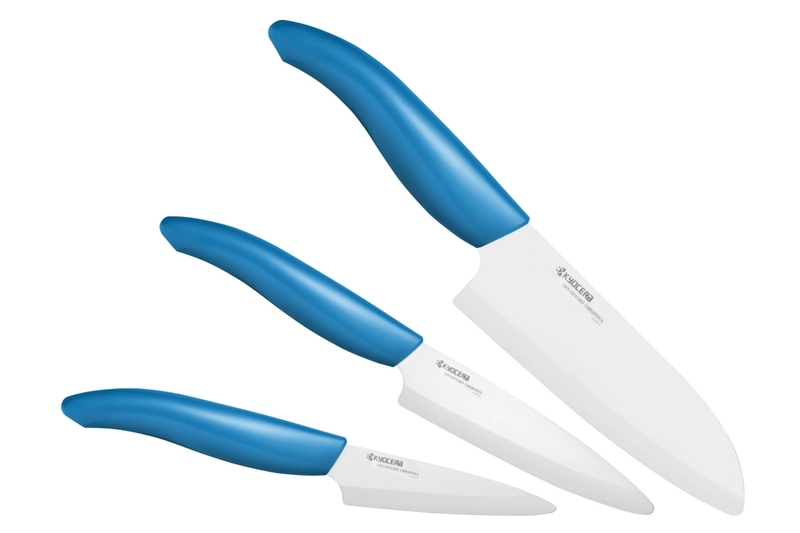 Unlike steel knives, ceramic blades will not transfer metal ions to food, nor corrode from acids or oils in fruits and vegetables. 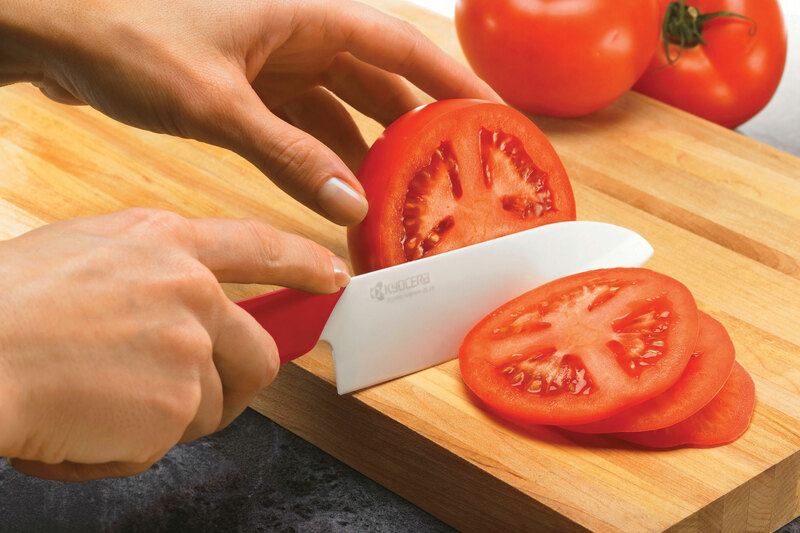 Ceramic will never rust. At half the weight of and equivalent steel knife, a ceramic knife becomes a comfortable extension of the hand, reducing fatigue during long, repetitive cutting tasks. 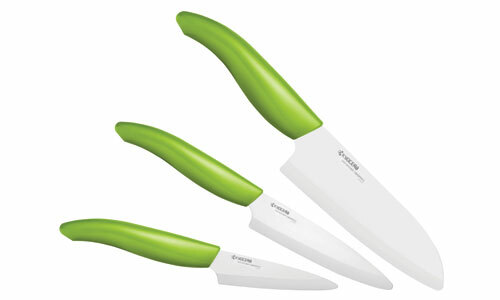 The ergonomic handle provides for a comfortable and highly controlled grip. Simply hand wash or wipe clean with a towel. 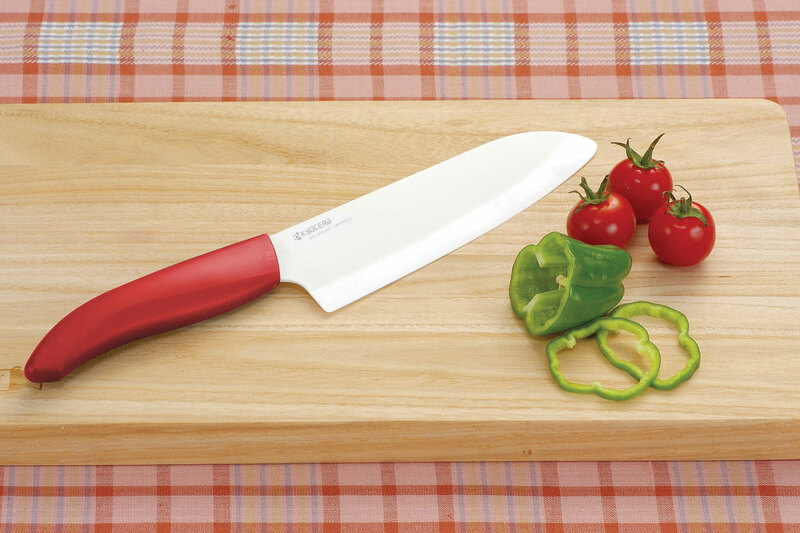 Use with a wood or plastic cutting board.